Home Google Facts Google Tricks How Did The Name Google come into existence? How Did The Name Google come into existence? Every companies name has a history or a story associated with it and Google is not different either. Larry Page and Sergey Brin the co founders of Google had a slightly different name in their mind while naming the company. Initially they wanted to name the company as Googol, A googol is the large number 10100, that is, the digit 1 followed by 100 zeros. It looks something like this below..
10, 000, 000, 000, 000, 000, 000, 000, 000, 000, 000, 000, 000, 000, 000, 000, 000, 000, 000, 000, 000, 000, 000, 000, 000, 000, 000, 000, 000, 000, 000, 000, 000, 000. Yes that's just a single number I hope your eyes aren't rolling. The idea behind the concept was to tell the world that how much information Google is willing to process on the world wide web. But having said all this destiny had something else in store. There is an unconfirmed story that the name Google actually came from a spelling mistake which one of the investors did while writing the investment check for the company. The name of the company was Googol and the investor wrote Google. 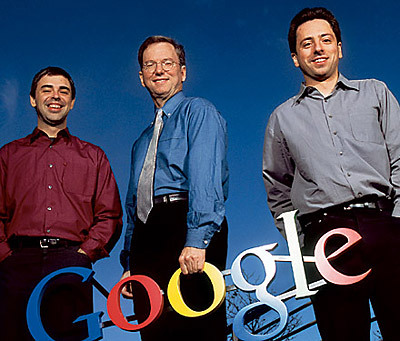 Eventually Larry Page and Sergey Brin both liked the new name and that is how the company was born with the name Google.